Given Kawai's deep experience in producing acoustic pianos, it is no surprise that the Kawai action is among the most highly prized in the digital piano marketplace. 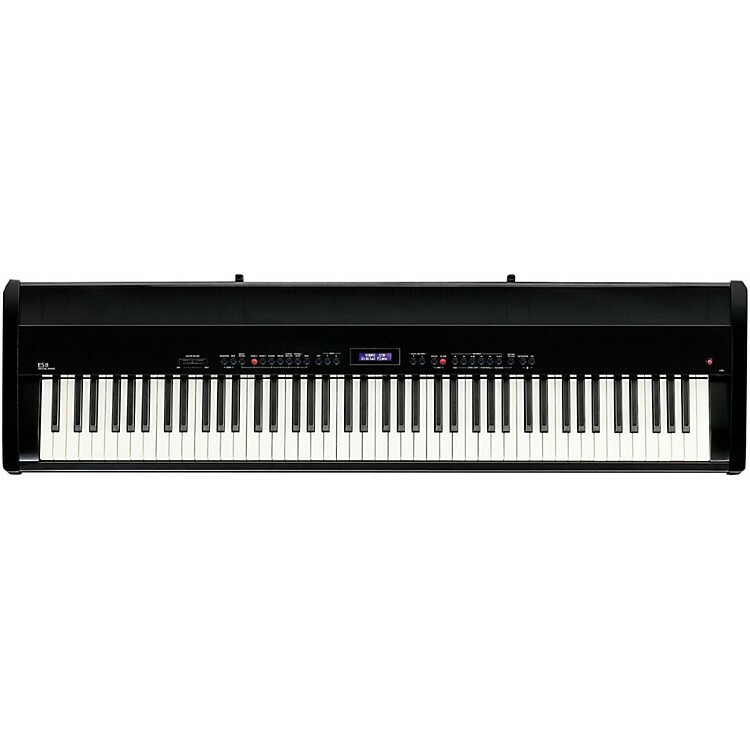 The feel, sound and features of the Kawai ES8 make it one of the most desirable digital pianos in its price range today. Regardless of whether you’re playing a gig on stage, practicing for a recital at home, accompanying the local church choir, or studying Chopin in the classroom, the new Kawai ES8 is portable piano perfection. Drawing upon Kawai’s 85+ years of knowledge and expertise crafting world-class acoustic pianos, the ES8 provides the most authentic playing experience ever realised in a portable instrument. improved Responsive Hammer III keyboard action recreates all the subtleties of playing a grand piano, with premium features such as Ivory Touch key surfaces, let-off simulation, counterweights, and a precise triple-sensor detection system. The extraordinary ES8 utilizes Harmonic Imaging sound technol- ogy to capture and reproduce every nuance of Kawai’s SK-EX and EX Concert, and SK-5 Studio grand pianos. Advanced resonance modelling and reverberation effects are then applied, delivering unparalleled acoustic realism, while unique Virtual Technician controls allow discerning musicians to personalise the piano beneath their fingertips. Versatile and powerful, the multi-purpose ES8 also includes a selection of outstanding electric pianos, drawbar and church organs, strings and choir sounds, along with professional backing accompaniments to cover a wide range of musical genres. Favourite instrument setups can be stored and instantly recalled from Registration memories, while modern USB features allow MP3 and WAV audio files to be recorded and played back directly from the instrument’s control panel. Order today. One of the best home digital pianos.